The higher the building, the closer to God? Extell Development Co., pioneer of the Ubermensch-buildings-along-West-57th-Street trend, is in negotiations to redevelop a church site several lots from its One57 condo project. The developer is in talks with Calvary Baptist Church to buy a parcel at 123 West 57th Street, the Wall Street Journal reported. Calvary Baptist owns both the church building and the Salisbury Hotel at the site; the two properties measure a combined 191,000 square feet. FXFOWLE Architects and Extell’s architectural team are collaborating on a design concept, according to church documents obtained by the Journal. The documents also indicate that Calvary Baptist has hired London-based Savills PLC as its broker, and Fried, Frank, Harris, Shriver & Jacobson LLP as its attorneys. 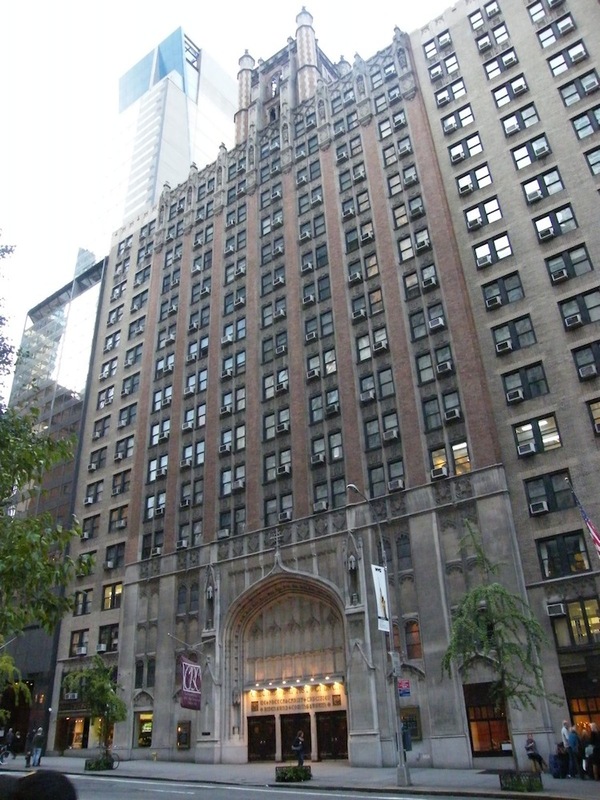 Extell owns a 15-story apartment building at 134 West 58th Street, directly adjacent to the church and hotel parcel. Can redevelopment, potentially of the ultra-tall variety, be far behind? If the developer and church reach an agreement, 123 West 57th Street would mark the third Extell site on West 57th Street, after One57 and the Nordstrom Tower. One57, located at 157 West 57th, topped out in 2012 at 1,004 feet to become the tallest residential building in the city. Nordstrom Tower, located at 217 West 57th, is slated to rise 1,775 feet tall upon its completion. Until then, the current title of tallest residential building in the Western Hemisphere goes to Macklowe Properties’ 432 Park Avenue, which officially topped out today at 1,396 feet.